This entry was posted on December 23, 2010. It was filed under Other, Sewing. Thanks! No I ordered them for Fancyweaver off Etsy per Shivika’s suggestion. I’m not happy with the color because the green is florescent and cheapy looking… but I’m still happy to have them. They are woven. Also, for those who don’t understand the logo… It is a chunky little kitty who wants to eat the birdie but obviously doesn’t NEED it. Get it? 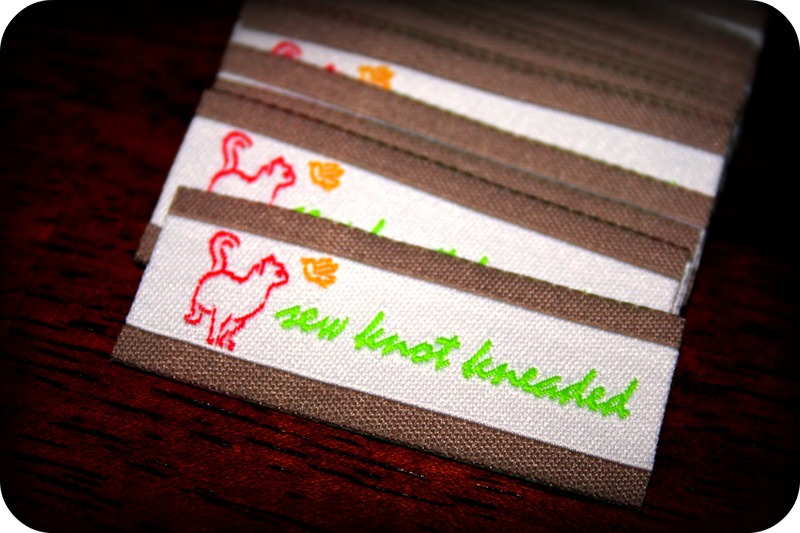 Sew Knot Kneaded. How stupid am I? I love birds and cats though, so it was perfect.